I just love your little flowers, Suzanne. I'm betting on a cushion cover. Can't wait to see more. Thank you! It is not a cushion cover, keep on guessing haha. Oooh your sock wool is knitting up beautifully. I'm toying with the udea of trying to get that on mail order via my Irish sis who is coming to visit in 7 weeks (yeay). The flowers are also pretty. I'm starting on a scarve now, made up by the doilie featured on the Yvestown blog, a nice fat, flat flower. Can't wait to see the scarf, sounds exiting! 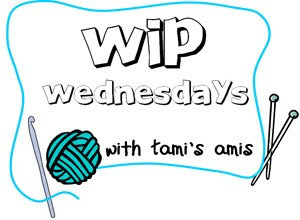 There is so much yarn to discover, I find more and more pretty things in yarn land! Would be great if your sis could bring you some! I love your hexipuffs. New sock yarn is beautiful indeed. 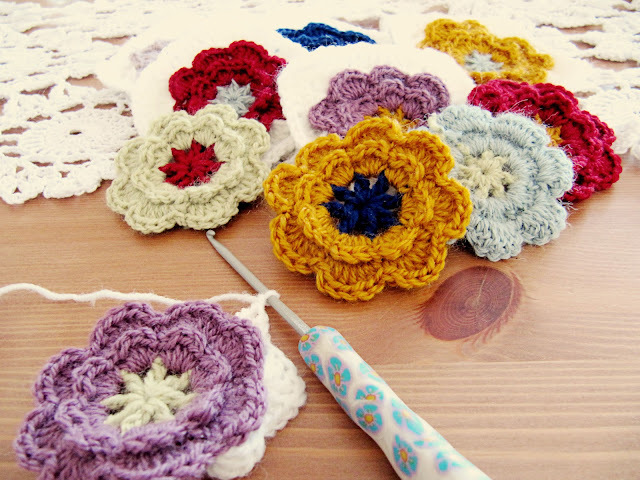 Your crochet flowers are beautiful. Congrats on the Blogger award! 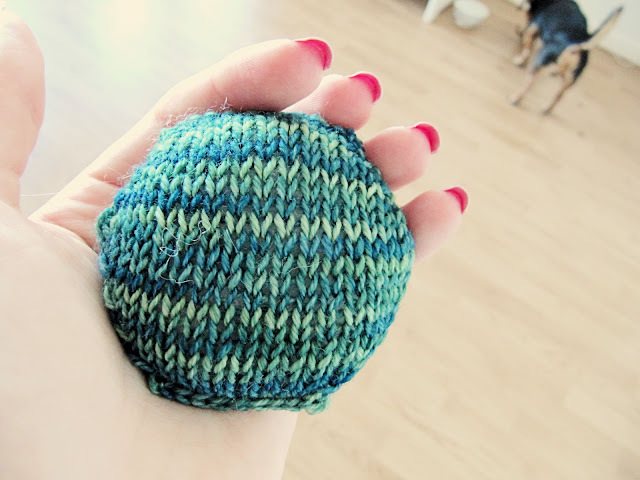 And I love the little puff made with your new sock yarn. What kind is is? Love the flowers, they are gorgeous! 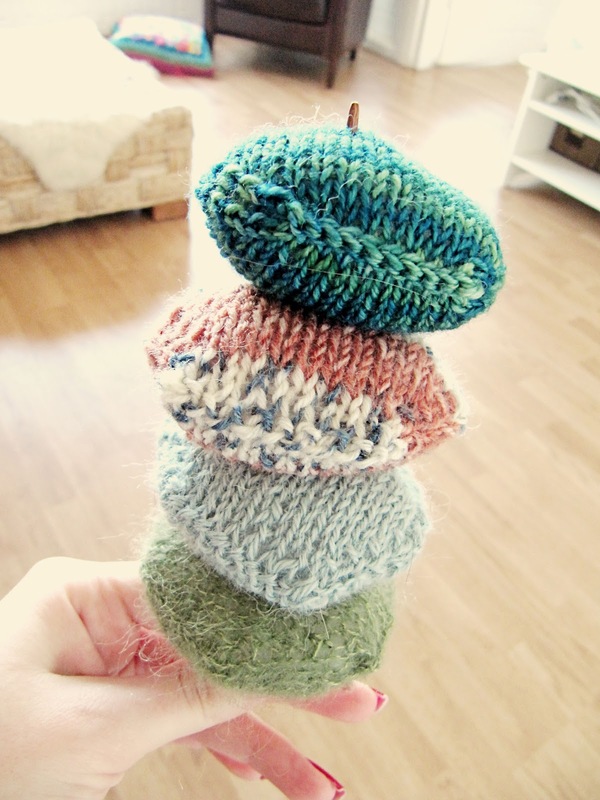 I like the hexipuffs too, I'm still resisting the urge to make any, but your sock yarn one might sway me. Such fun! Oooh, pretty sock yarn for the new puff! I haven't made any (I don't want a quilt of them) but I really want some just to squish! The flowers are beautiful! I went through a phase of making loads of crocheted flowers. I stuck them on hats, bags, headbands, you name it, it got a flower. love the hexipuffs.. I'm still immune to the hexipuff bug.. I think the crochet motifs are going to be a table runner.. and, hope you feel alright now.. take care. Wow you do so much! I love the colours! 4 hexipuffs is still something! I really like your crocheted flowers. Is the pattern for the flower squares your own? Would you be willing to share it? The flowers are beautiful. I can't wait to see what the become. The flowers and puffs are lovely. I can't wait to see what you make with the flowers. Hexipuffs look great. 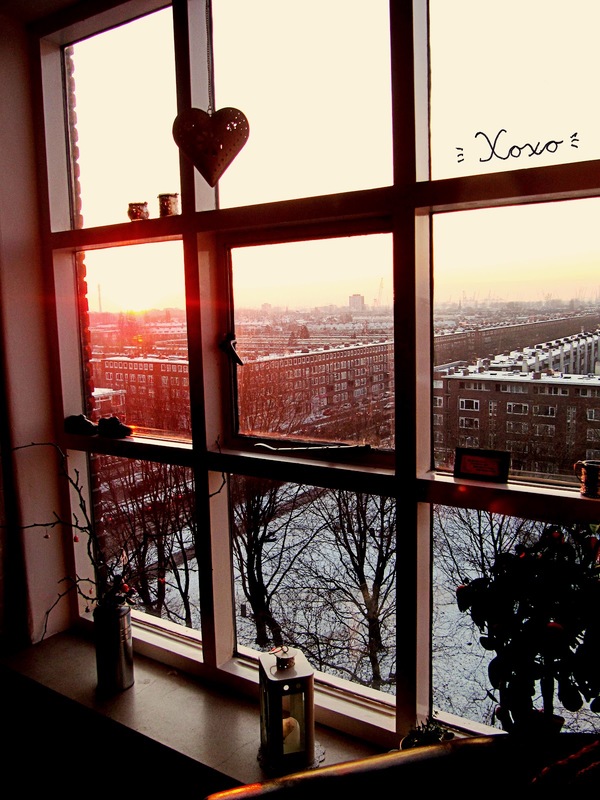 I love the view out your window. The snow on the ground makes you want to curl up with yarn. I love the color of your new sock yarn for the hexipuffs!! It's gorgeous. I'm very very jealous of your view. I would just sit in front of a window with a view like that. I love the little crochet pattern, they're beautiful! and you have an amazing view. The sock yarn is TOO gorgeous. Yes PLEASE do make those socks first! Can't wait to see them! Lovely view and flowers. I'm hoping you feel better soon. The flowers are gorgeous and the sock yarn is looking even better! :) You make beautiful things!